Beijing has surpassed New York as the billionaire capital of the world – but how prosperous is the city really? What do Beijing and New York have in common? Besides cold winters, crowded public transportation and snippy locals, they now share something else: their status as home to some of their countries' richest people. According to the 2016 Hurun Global Rich List released this past February, 568 of the world's 2,188 billionaires are Chinese, and 100 of them live in Beijing. Included in this list is Wang Jianlin, the chairman of Dalian Wanda Group, whose wealth exceeds $26 billion. These numbers put Beijing just ahead of New York, which is home to 95 of the US' 535 billionaires. As the capital of China, Beijing has long been the political and cultural center of the country - and now, if this report is anything to go by, it seems to be the center of its wealth as well. With its high-profile billionaires, not to mention the numerous "invisible billionaires," or quietly rich figures hiding among ordinary people, Beijing is growing into a city that could give any of the world's powerhouse metropolises a run for their money. The Hurun report has attracted a great deal of attention both in China and abroad, especially among foreigners in Beijing, who all seem to have opinions on what this concentration of wealth means. "We can see that Chinese people have much nicer cars than the yankees," said Eduardo Vezu Vecchiato, a Brazilian student at Beijing University of Technology. "The streets here in Beijing are full of Mercedes, BMWs, Lamborghinis and so on. We can see that even poor houses often have nice cars parked in front of them." Logan (pseudonym), a 20-something American who works at a foreign company in Beijing, argues that the billionaire count doesn't offer a meaningful comparison given the differences between China and the US. "It's just that Beijing and Shanghai are China's biggest cities, thus they have more [rich people]," he argues. "Besides, America's biggest billionaires, like Bill Gates, [Warren] Buffett and the Facebook guy [Mark Zuckerberg], don't even live in New York." By contrast, Beijing is home to the country's most powerful companies, like Baidu, Alibaba, Tencent and Wanda, he added. Another foreigner living in Beijing, who calls herself Molly, told Metropolitan that she actually knows lots of rich Chinese people in Beijing who seem to buy expensive cars and flats on a whim, including her boyfriend. Though some are simply the beneficiaries of inherited wealth, others have earned their fortune through a mixture of business savvy and daring. "My boyfriend always says that he's a self-made millionaire," said Molly. "In fact his parents are super rich, but even though they provided the start-up capital for his business, he made all his own connections himself. You know everyone says that there are lot of self-made billionaires in the US, but like even Bill Gates had good parents." Beijing isn't just a magnet for billionaires; it's also proven a draw for people from other cities and countries, eager to take advantage of the city's opportunities. Many have discovered, however, that in terms of material wealth, they may never be able to catch up with native Beijingers. That's because the most valuable asset you can own in Beijing - property - has been rising in price over the past couple decades to the point that it has become unaffordable for most. Just look at the past 10 years: according to a Beijing Youth Daily report released on March 10, the average price of second-hand property has risen from 4,456 yuan ($ 684) per square meter back in 2003 to a staggering 41,586 yuan this year. This can create major inequality, as 27-year-old Xiao Xin, an IT worker who moved to Beijing from Henan Province, found out in a recent conversation with his department chief. 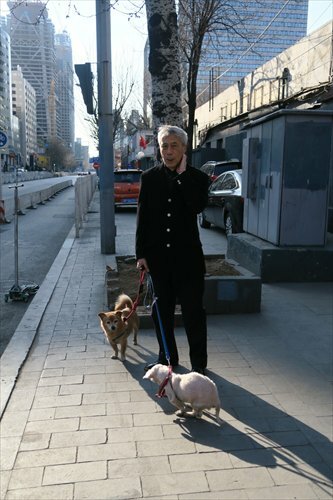 Though Xiao thought he and his wife were doing well, his chat with the department chief, a native Beijinger, changed his mind. "He is only in his 30s and isn't rich in terms of cash-in-hand, but absolutely in real estate," said Xiao. "He has four houses under his and his parents' names, all located within the Fourth Ring. His parents rent out two of them, receiving about 30,000 yuan per month, which is much more than a white-collar's salary in Beijing." 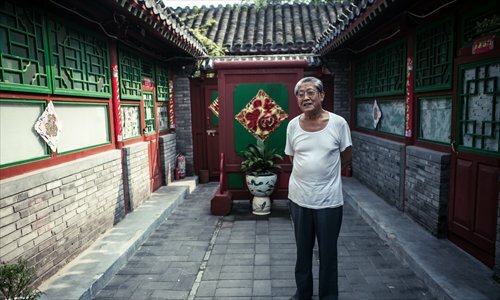 Xiao's department chief told him that many local Beijing residents have more than three houses and that the rent is more than enough for the whole family to maintain a high standard of living. This is why many locals have begun to retire in their 50s, and even their 40s. "My wife and I earn about 35,000 yuan per month, and our mortgage costs 10,000 yuan per month," said Xiao. "Our net income can not catch up with my department chief's retired parents, who do nothing at home but practice square dancing." Property is not the only factor leading to Beijingers' affluence. In 2015, Nicaifu, an Internet finance brand under leading Internet security tech firm Qihoo 360, released a report on the investment habits of Chinese urban residents based on information gleaned from its users. According to the report, its Beijing users appear to be the most prosperous, based on the amount they invest each year in Internet financial products - roughly 60,000 yuan annually, as compared with Shanghai users, who invest an average of 50,000 yuan. The apparent financial savvy of Beijingers was confirmed by another report recently issued by Ant Financial, the financial arm of Alibaba Group, based on a user data analysis of Alipay, its ubiquitous online payment and investment tool. According to the data, Beijingers earn more than users from any other Chinese city from financial investments, especially those born in the 1980s and 90s. The report also credits them with having the "highest FQ (financial quotient) in China." However, many Beijingers aren't satisfied to simply sit at home and watch the rent or investment money roll in . An increasing number of them have started selling their property for cash, and then becoming investment immigrants in other countries like Canada and the US. "Theoretically, local people who own property within the Second Ring in Beijing are all able to afford investment immigration," said Qi Lixin, the director of the Beijing Entry and Exit Service Association, in a 2010 report on sohu.com. Wang Wei (pseudonym) is among those immigrants. He sold two houses for about 5 million yuan back in 2010, and then moved his family to Canada. "I prefer the higher quality of life in Western countries and my daughter can get a better education, the same as the local kids in Canada," Wang told sohu.com. And then there are those who simply work their way to the top through innovation and entrepreneurship. 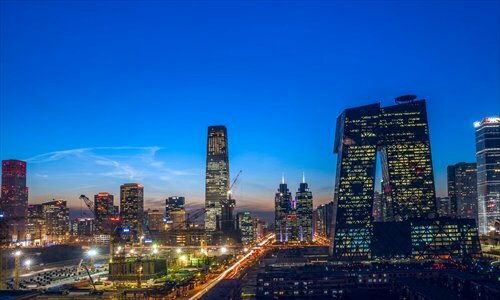 According to a report released earlier this month by the National Survey Research Center at Renmin University of China, 30 percent of entrepreneurs from 21 first-tier cities think that Beijing is the best place to start a business. They're not wrong - according to the same report, the median yearly income for entrepreneurs in Beijing is around one million yuan. Perhaps most importantly, Beijing has the infrastructure to support burgeoning companies. In Haidian district, for example, which is home to Zhongguancun, also known as "China's Silicon Valley," there are over 100 entrepreneur service agencies, 111 start-up companies and 16 national-level entrepreneur incubators, which together cover more than 2.4 million square meters. Of course, wealth isn't a reality for everyone in Beijing, with even property-owning residents often complaining that they are not as rich as people assume them to be. Meanwhile even property in a good location doesn't necessarily mean a fortune for ordinary people. Zhi Qianyue, a 27-year-old financial worker who lives in a 130-square-meter apartment in Haidian district with her parents, told Metropolitan that their property doesn't make her feel any more rich. "Even though our house is worth more than 8 million yuan now, we can neither sell it nor rent it," Zhi said. "It's our only residence and we do not want to give up this good location and move far away from the downtown to areas like Tongzhou district, even though the houses are much cheaper there." Zhi added that although there are many rich people living in Beijing, people should look at the relationship between the average salary of common workers and the price of commodities. The average buying power of different cities in the world can be roughly measured by a universal commodity, which is the iPhone. A recent report by the Swiss Bank Corporation attempted to measure this disparity in buying powering by calculating how many days' salary the residents of 71 different cities would have to pay in order to purchase a new iPhone. According to their data, an average person in New York need spend only three days' salary on the phone - by contrast, his or her Beijing counterpart would need to work for 27 days to afford one. Then again, maybe a phone is just a phone. "In my opinion, having an iPhone doesn't mean you are rich," says the Brazilian student, Vecchiato. "I think Beijingers just like good technology."